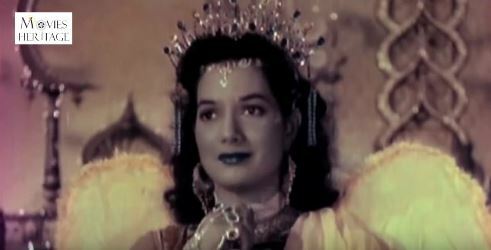 Yes, this post is a little late as a tribute to one of Hindi cinema’s loveliest actresses—Shakila passed away, aged 82, on September 21—but that was because I was travelling. I heard the news, was saddened and upset, and vowed that as soon as I got back, I’d post something about Shakila. Not a songs list, because I’d already done that. A review of one of her more popular films, then, I decided. When I’d decided to dedicate this month to regional Indian cinema, I’d also decided that I wouldn’t restrict myself to only the grim, stark ‘real’ films that win awards (Chemmeen, as you will see over the next few films, was an exception rather than the norm). After all, it’s not only the films which win awards that are remembered and loved. There are also films that may not be award-winning material, but are enjoyable and prove to be hugely popular. 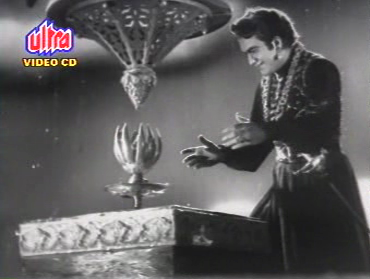 Pathala Bhairavi—originally in Telugu, also dubbed in Hindi and Tamil—was one of these. Although the research I’ve done doesn’t seem to indicate any awards won, this film was a superhit, which ran to packed houses for weeks on end. It was also the only South Indian film to be selected for screening at the first International Film Festival in Bombay in 1952. And—this was what made me want to see it—it was a fantasy film, one of my favourite genres. Ever since I began this blog, I’ve maintained one annual tradition: on my birthday, I post a review of a film featuring a film personality who shares my birthday. 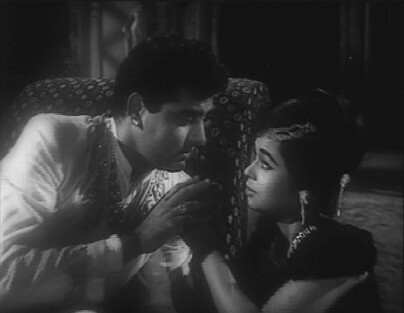 I’ve reviewed Ittefaq (starring Nanda); Wild in the Country (starring Elvis Presley) and Baghdad ka Jaadoo (with Fearless Nadia). This time, it’s back to Baghdad – with Kerwin Matthews, who, like me, was born on the 8th of January. 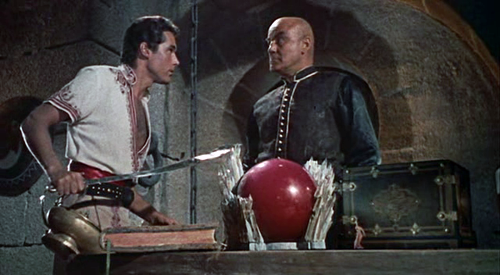 The 7th Voyage of Sinbad is typical Kerwin Matthews fare: he gets to swing a sword, battle an array of fearsome (sometimes unintentionally hilarious) monsters, and generally be the man who wins the day for the good guys. So here’s remembering Mr Matthews. Happy birthday, and RIP. Once there was an evil jaadugar named Saamri. There was a prince, and a princess. The prince killed Saamri, and then he and the princess lived happily ever after.